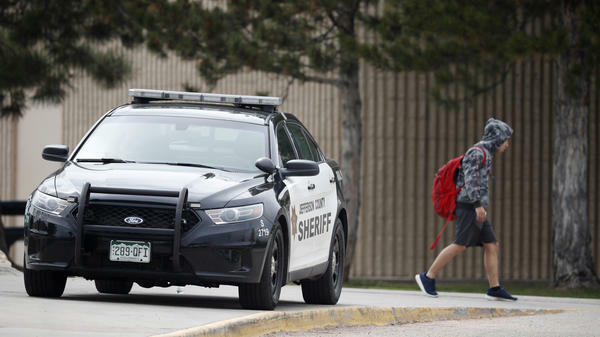 A planned national high school walkout for gun control on the 19th anniversary of the Columbine shooting Friday won't include student protests at the Colorado school that changed the way the nation viewed shootings. Tampa's Chamberlain High School is scheduled to be under modified lock down until school's out Friday. Police say a man had serious thoughts of committing a Columbine-style shooting there. The man, Freddy Velazquez, turned himself in to a mental health center last week. Tampa Police Corporal Curt Rojka says Velazquez told the counselor his plans. "He checked himself in to the mental health crisis center last week stating that he was hearing voices in his head to do something at Chamberlain High School," Rojka said.